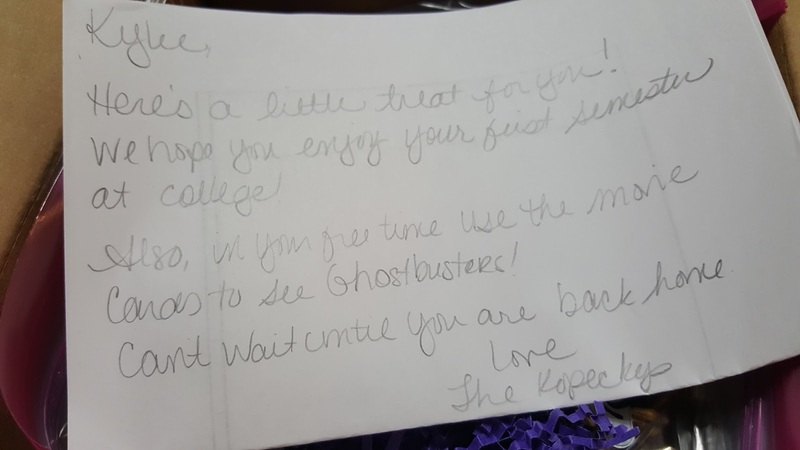 This year we have a few friends with kids heading off to college so I thought why not give them a fun little care package filled with some yummy treats and some movie tickets to see Ghostbusters on us while they are away from home. Being in college away from home can sometimes be lonely, especially when you aren't making much money for those little extra things. Sending along a few sweet treats will hopefully cheer her up if that does happen. 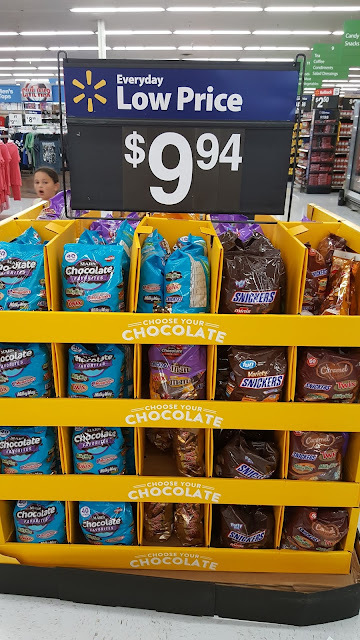 While we were doing a little back to school shopping we came across the MARS pallet filled with some of our favorite treats such as M&M's®, SNICKERS®, Milky Way®. I decided that we would fill up a box in bags with some labels on them for our friends daughter to hopefully make her smile while she is away at college. 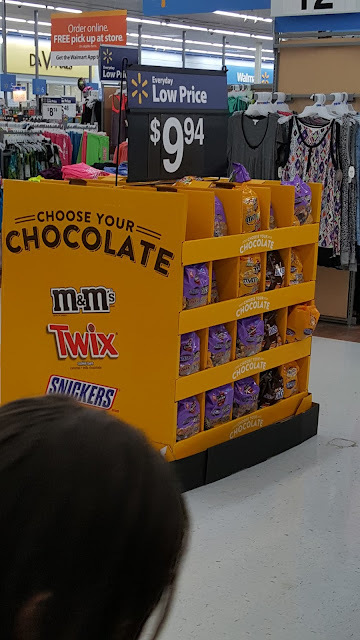 Make sure you are on the look out for the $0.75 off 1 M&M's® Bottle July 17 - September 30. 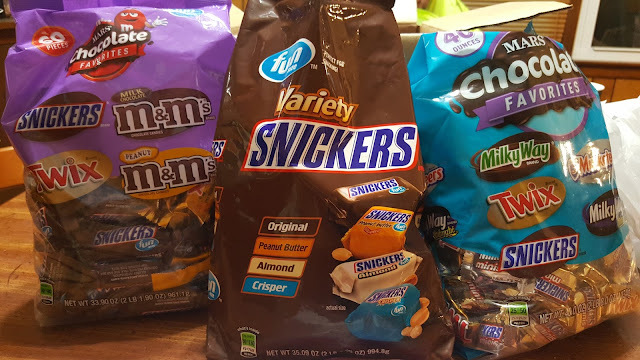 The Mixed Mini Variety Bag has over 2.5lbs of our favorites so after we send off our care package we have some to enjoy as well. 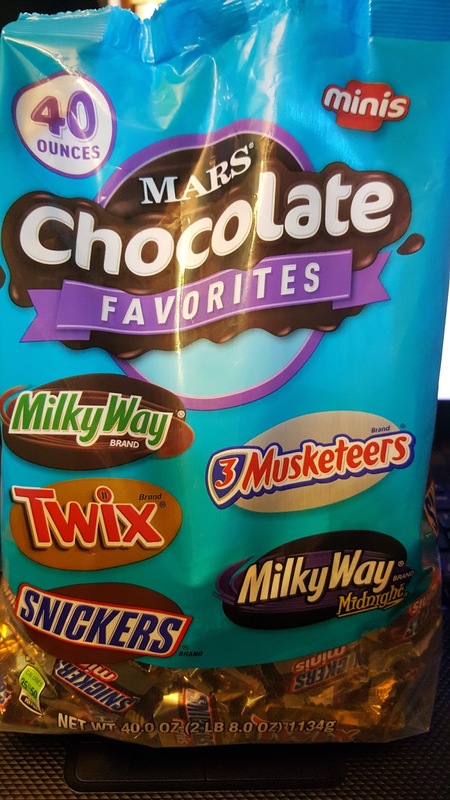 With Milky Way®, SNICKERS®, TWIX®, Milky Way Midnight®, and 3 MUSKETEERS® there is sure to be something in there everyone will love if she shares. 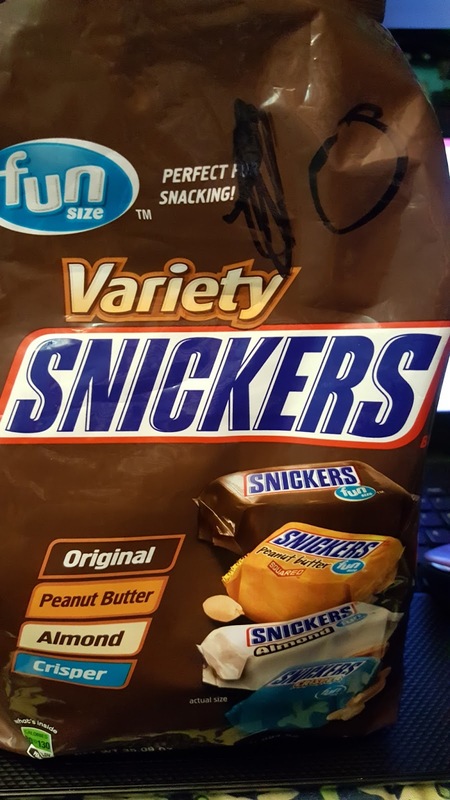 SNICKERS® Mixed fun sized variety has 4 different types of SNICKERS®! Did you know there were that many? Original, Peanut Butter, Almond and Crisper. 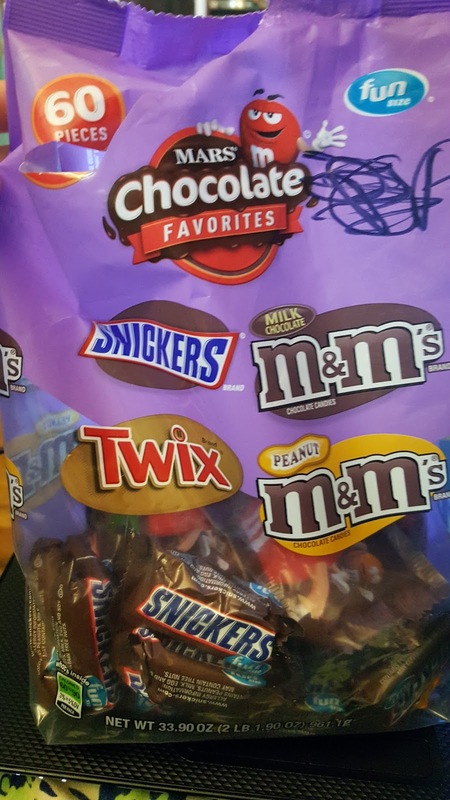 Her favorite are the Peanut Butter so I made sure to have plenty in that bag. MARS Mixed Chocolate Variety fun sized contains M&M’s® Peanut , M&M’s® Milk Chocolate, SNICKERS®, and TWIX®. 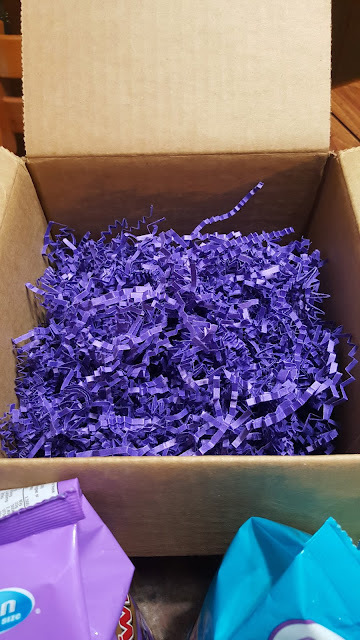 To make our little care package up I had some pretty purple shredded paper I put into our box. 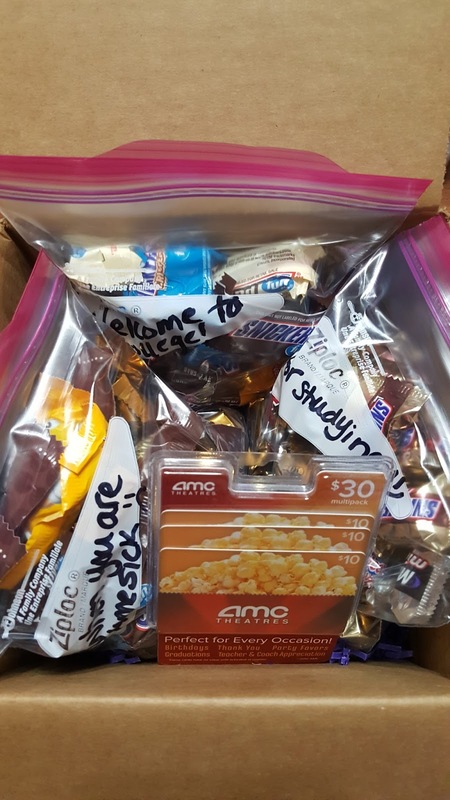 In each ziplock bag I added the varieties of goodies and wrote a little note on each such as For when you are homesick, studying, and a welcome to college bag. As an added bonus, we decided to treat her to go see Ghostbusters which is in theaters now ( or a movie of her choice )! Inside the box I also added a handwritten little note to let her know we are thinking of her and hope she enjoys her surprise. 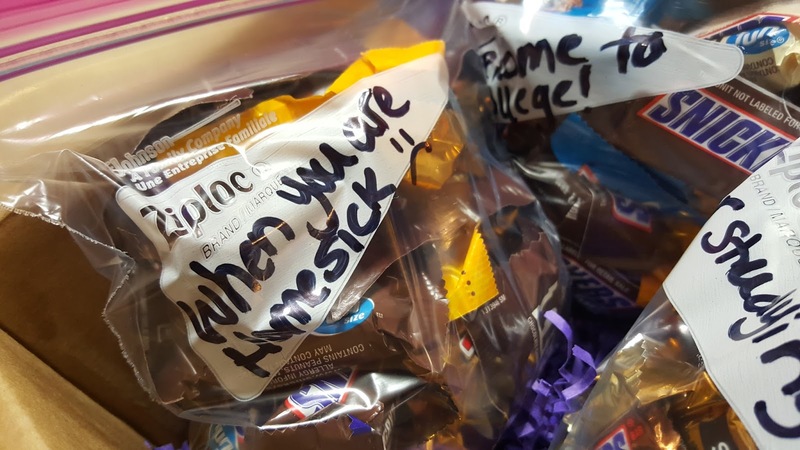 How do you surprise a loved one while they are away at college? 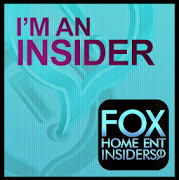 I am always looking for ideas.